When people hear the word vinyl, many might imagine old LP records or an artificial, somewhat tacky plastic material used on industrial floors or in automobiles. Vinyl has long gotten a bad rap in the flooring market. The term vinyl conjures up images of ugly strips of synthetic material that supposedly passes as flooring in cafeterias and portable homes. While vinyl remains an economical and durable choice for floors, the days of choosing between value and elegance are gone. Luxury vinyl has taken the market by storm and with new options being added almost daily, it has become one of the hottest new flooring materials available. Luxury vinyl is a relatively recent development, introduced to the public less than 10 years ago. It combines the strength and durability of vinyl with the luxurious look of hardwood, stone, or tile flooring. It can be cut into tiles or planks with much greater ease than wood or stone. This makes installation less expensive and less stressful than with other harder materials. It is made up of several layers to protect the design and to allow it to last for years with little maintenance. 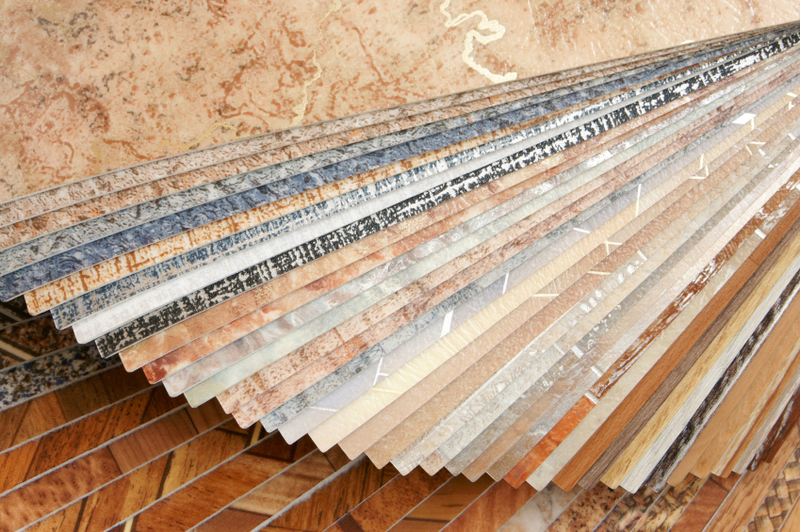 What Makes it Different from Traditional Vinyl Flooring? Luxury vinyl is specifically designed to mimic elegant and expensive materials like slate, marble, wood, or tile. The image patterns can be designed to appear like the grain in wood or the striations in stone. Another advantage of luxury vinyl is that it is incredibly easy to install since it is flexible and comes in square and rectangular cuts. Sometimes, the base is composed of a mixture of vinyl and limestone for additional durability. Luxury vinyl is typically easier to install than other flooring options and in many cases, includes adhesive backing on the vinyl itself for easy application without any mess. Typically, luxury vinyl is more expensive than its cheaper traditional vinyl or linoleum counterparts. However, the look and feel more than justifies the slightly higher expense. If you were considering tile or wood, luxury vinyl is usually priced competitively to these materials and may even be cheaper and easier to install. If you are looking to install new flooring in your home, consider looking into what everyone else is raving about. If you’d have questions or would like to see some examples of luxury vinyl for yourself, call or stop by Flooring HQ where our knowledgeable staff can help you with any problems you might be facing in regards to your flooring needs.